Entrepreneurs from all walks of life ask themselves these questions. Food truck owners are no different; we’ve heard it from the food trucks we frequent and the owners we’ve reached out to. Thankfully, the world of online entrepreneurship offers some ideas to help as it, like the food industry, relies heavily on direct contact with customers. 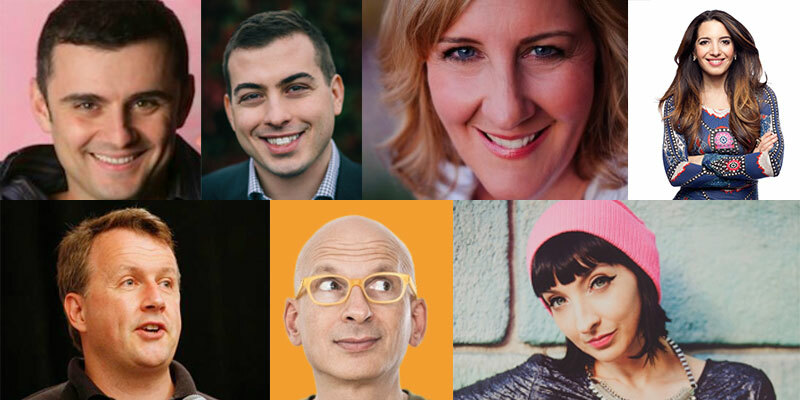 Here are seven insightful online entrepreneurs who have made it their mission to help other entrepreneurs grow their businesses. Each has a particular focus you can learn and apply. They may not sell food. But they do share an experience. And when it comes to winning hearts and minds, it’s all about the experience. 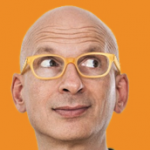 Iconic entrepreneur Seth Godin is up first with the #1 habit of all successful and sustainable businesses. Though she grew up in New Zealand, Gala Darling always dreamed of living in New York City. But when she went there for a vacation in 2008, she didn’t expect that she would stay forever. However, after a fight with a friend left Gala without a place to stay, she quickly realized that she would do whatever it took to move to the city of her dreams. Gala found a place to live right away, but the struggle didn’t end there. Because she was in the country on a visitor’s visa, she could only stay for 90 days. For the next year, she flew back and forth between America and New Zealand every few months until she was finally able to get an artist’s visa that would allow her to move to New York permanently. Though the frequent traveling was expensive and draining, Gala never took her eyes off her dream. Today, Gala lives in New York City where she preaches the virtues of “radical self-love” on her popular blog and in private workshops. 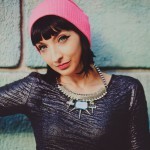 She also co-founded and runs The Blogcademy with fellow bloggers Kat Williams and Shauna Haider, and has been featured in The New York Times, Elle, Cosmopolitan, and the New York Post. When things get tough, stay focused on your dream. Sometimes the obstacles that stand between you and the next leg of your food truck journey may seem insurmountable. You may feel lost and unsure of what to do next. Or you might just be too tired to keep going when you’re not seeing any results. These moments are the ones that will make or break your luck. If you can continue to persevere through the hardest times, you can achieve anything. Look to friends, family, and your loyal customers for encouragement during the hard times. Listen to their advice and soak in the positivity of their warm feedback. Then push forward. 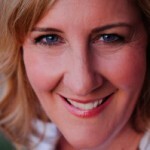 Pam Slim is best known as the author and coach behind the best-selling book, Escape from Cubicle Nation. However, one of the most important lessons she imparts to her fans and followers comes from the 15 years she spent training in, teaching, and coaching martial arts. Just as you would need to practice a particular block or kick in martial arts hundreds of times before mastering it, Pam teaches people that developing their business skills and strengths is a process of repetition. Whether you’re learning to prepare a new dish or figuring out how to advertise your truck through social media, there are a number of smaller skills you have to master first. Mastering individual steps takes time. To build a successful food truck, you have to be willing to go through this process for every aspect of your business—from food preparation to financial planning. Though mastering each aspect of your business is a process, you can still begin cooking, marketing, and selling right away—just be aware that dramatic success could take awhile. Traverse each step of your business with the understanding that you still need time to hone your craft, and don’t get discouraged by the work and commitment you have to put in. Entrepreneurship is a long-term endeavor. In the long run, your efforts will pay off. 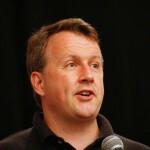 Paul Graham is the co-founder of Y Combinator, a company that’s both a business school and a venture capital firm that finances about 40 start-up businesses each year. Over the course of three months, the lucky entrepreneurs who earn a spot in one of Paul’s classes receive valuable business advice, financing to get their ideas off the ground, and the opportunity to pitch their companies to major investors. One of the main lessons they learn is simple: be open to change. Paul teaches his students that while many companies started out with great ideas, they quickly changed their business plans upon finding out what their users really wanted. He emphasizes the point of making something people want above all else—and lets his students know that they need to be willing to pivot their ideas if the market demands it. As an entrepreneur yourself, your job is to figure out what it is that your customers really want—from food types to loyalty programs to online engagement—and to be willing to change your plans if you guess wrong the first time. Let’s say your truck specializes in build-your-own hamburgers. You assume that people want lots of topping options, so you pick up 18 different sauces, 12 types of fresh veggies, five extra kinds of meat, and perhaps some unique add-ons like pineapples and onion rings. The chance to build their own dream burgers might hit big with your customers. Or it may overwhelm them, sending them off to the tried-and-true burger chain down the street. The solution to giving your customers what they really want could be as simple as adding a few menu options featuring perfectly-paired toppings that they can order without even having to think about it. 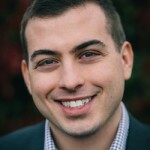 On his blog and podcast Social Triggers, Derek Halpern shares tested social principles and psychological tips to help people get more traffic to their websites and, more importantly, teaches them how to turn that traffic into leads and conversions. Derek believes that you must become a master at marketing and selling if you want to succeed in today’s world. After all, the marketplace is competitive and there are tons of other talented, aspiring entrepreneurs hoping to make it big. How you can stand out from the crowd? To begin with, you can apply the classic 80/20 rule, which Halpern emphasizes. The 80/20 rule—also known as the Pareto principle—states that 80 percent of the results come from 20 percent of the causes. At Social Triggers, Derek suggests using the 80/20 rule to balance out the time you spend promoting and creating. He advises his readers to spend 20 percent of their time creating the best content they can, and 80 percent of their time promoting that content as much as possible. You might not be able to spend 80 percent of your time promoting your business, and that’s okay. The point is that you have a benchmark to work toward. The key is to remember that there are plenty of other places that people can grab lunch besides your food truck, and no one is going to notice you unless you’re doing something to get noticed. 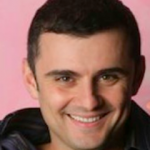 Gary Vaynerchuk’s entrepreneurial story begins when he was just eight years old and managing seven lemonade stands across his neighborhood in New Jersey. While most kids would have been more than satisfied with just one lemonade stand, Gary has always had a drive to do more. In 1997, after working in his family’s liquor store business, Gary launched WineLibrary.com, a store that would eventually become a $45 million business. Today, Gary and his brother Al run VaynerMedia, an agency that helps Fortune 500 companies like Pepsi and GE manage their online brands. Gary is also the successful author behind titles like The Thank You Economy, Crush It! : Why NOW is the Time to Cash in on Your Passion, and the upcoming Jab, Jab, Jab, Right Hook: How to Tell Your Story in a Noisy, Social World. In Jab, Jab, Jab, Right Hook, Gary focuses on the importance of communication and context, showing business owners and entrepreneurs how to create high-quality content that is designed for optimal performance on various social media and mobile platforms. Often known as the “King of Social Media,” Gary understands why sharing and storytelling are such essential parts of business, namely that people are looking for a way to connect with your company. People choose brands they identify with and like. Sharing your story will help your ideal customers connect with you on an emotional and personable level. 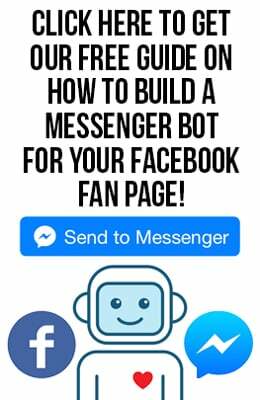 That’s the secret sauce to nurturing a community and fostering raving fans! Your customers care about more than just the food and the prices; they care about you, the awesome person in the truck making them their favorite meal. If you give these patrons the opportunities to know you and your story, they’ll reward you with their ongoing support and friendship. That’s what a good fan does. Marie Forleo has enjoyed a successful life. She is an author, speaker, trainer, and web TV host who has worked at companies ranging from the New York Stock Exchange to Conde Nast to MTV. Marie wants people to live “rich” lives, and that such richness is about more than just having money and expensive things. To Marie, richness also means that you’re living to your full potential, utilizing your unique talents, and doing things that make you healthy and happy. It doesn’t matter what success looks like to you—it just matters that you define it for yourself and do everything you can to reach it on your own terms. Many entrepreneurs have a threshold in mind of what it looks like to have “made it.” For you, it might be your 1,000th customer or the first time you hit six figures in profit. Or it might be the moment when you realize that you can fully support yourself through your food truck business without having to worry about whether or not you should get a “real job.” Figure out what success looks like for you and your business—and be sure to celebrate when you get there. It may take a while to truly know “what do my customers really want” and answer “how do I convert them into loyal, raving fans.” The way to get there is to ship your product consistently, listen to feedback, and remain steadfast in your vision. Promote your wonderful food and fun brand throughout the process. That’s a recipe for success that you can be proud of and make everlasting.